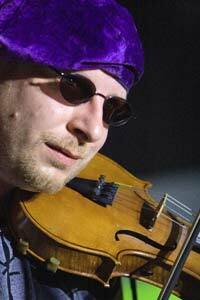 Mark Knight played violin with the Brunel Ensemble on the Casanova album. Mark has also played for other acts such as Pepe Deluxé or Massive Attack. Although, he is mainly known as ‘The Dark Knight’ for playing electric violin and composing music for video games.